Are you and your team well for work? I recently met with an MD from a growing agency who said his biggest challenge with his staff is maintaining energy and focus. It’s particularly relevant as recent research emphasises relaxing in order to be more productive (read The New York Times article here). Agency folk are notorious for dealing with multiple conflicting deadlines in an unhealthy way – people are often tired, stressed and overwhelmed. 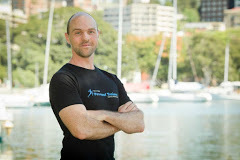 So I’m delighted to recommend the Well for Work program in Sydney as featured recently in CEO Magazine, by health and fitness expert Timo Topp, has launched the Well for Work program to help people at work have more energy and feel better. This half-day workshop program offering simple and feasible strategies that help people to have more energy and avoid energy drains, feel better and less stressed and look better by understanding time effective eating and exercise strategies. It comes with a whole host of educational resources including the ‘Way of the Corporate Warrior’ mini book!